Chelsfield lies to the south east of the city of London, within the borough of Bromley and close to the border with Kent. A large village location, Chelsfield has a community atmosphere and many local amenities which sit alongside historic buildings such as the 14th century Bo-Peep pub. The A21 provides direct road access to the area while those using public transport can reach London Charing Cross via the mainline train station in the village. You've most likely worked extremely hard to get into a position where you can own your own property. Even if there's still a substantial mortgage to pay, your home is very much your home, and you are naturally going to want your home looking it’s very best. Your carpeting is an essential part of making your home look wonderful, so if it's not doing its job effectively, it can have a detrimental effect on the rest of your home's décor. 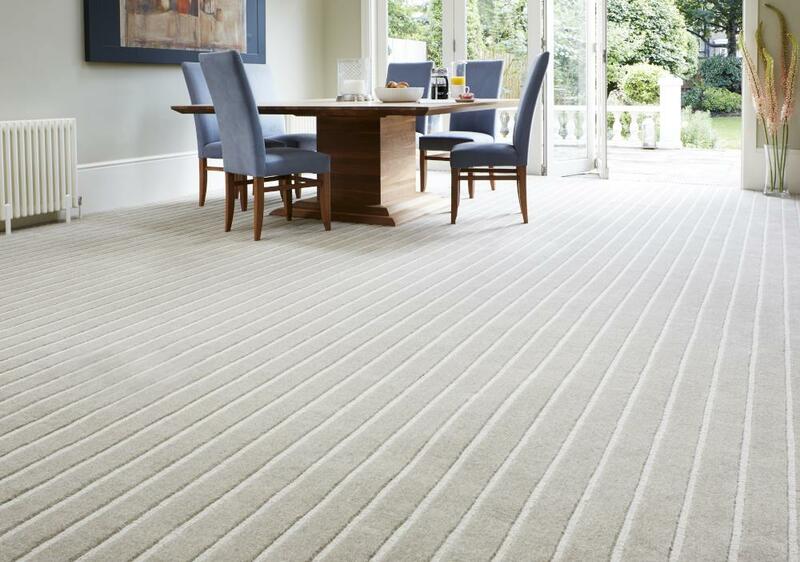 If you feel your carpeting needs a bit of refreshing, then please contact Cherry Carpets for Chelsfield Carpets. We can provide you with the complete end-to-end carpeting service, and our prices are the most competitive you'll find anywhere. 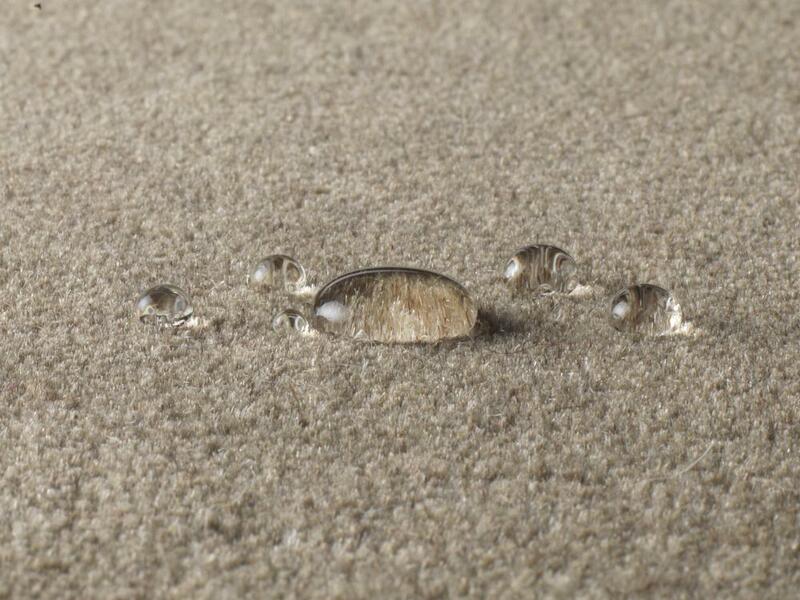 Don't hunt around for cost-effective carpet prices – you'll find them at Cherry Carpets … guaranteed! There's no secret, magic formula to how we manage to offer our carpeting and carpeting services at much more cost effective prices than our competitors. The simple truth is that as we don't run either a showroom or expensive high street retail premises, so we don't have the same kind of overheads that 'traditional' carpet showrooms have. This means we can make substantial savings, and we pass the bulk of those savings onto you, our customers. 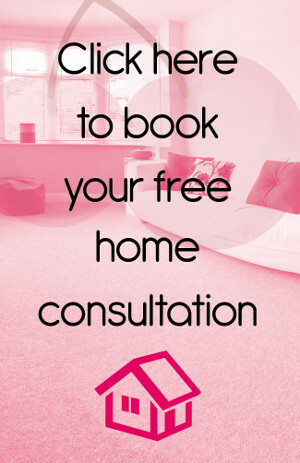 Instead of running a showroom, we provide free consultations to our customers, usually at their homes. Simply contact us to make an appointment, and we'll arrive at the appointed time with a selection of samples for you to take a look at. You can also ask us any questions about the process when we are with you. We have been providing the full range of carpeting services for many years, so can answer all your queries with definitive answers. We are not just carpet sellers, we are carpet fitters too! At Cherry Carpets, we can supply you with the full, end-to-end carpet fitting service. 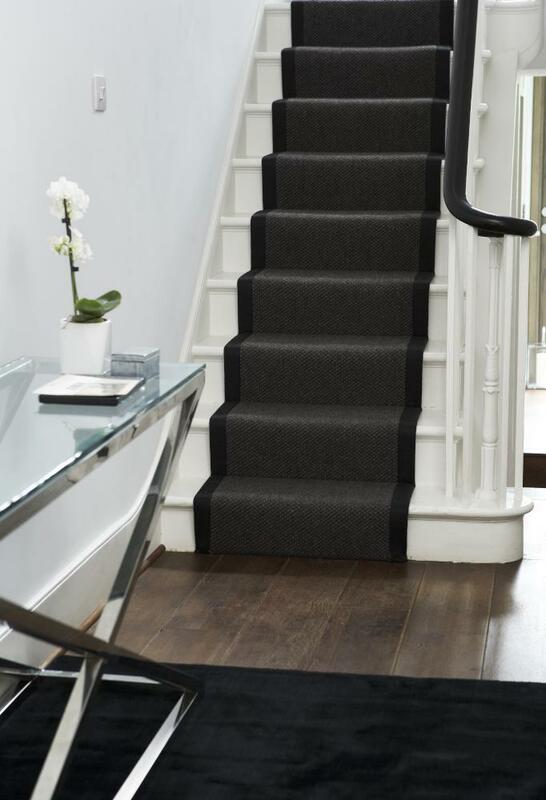 We take care of everything for you, from the measuring up, flooring preparation (including the complete removal of your existing carpeting if necessary), underlay laying and finally the fitting itself. 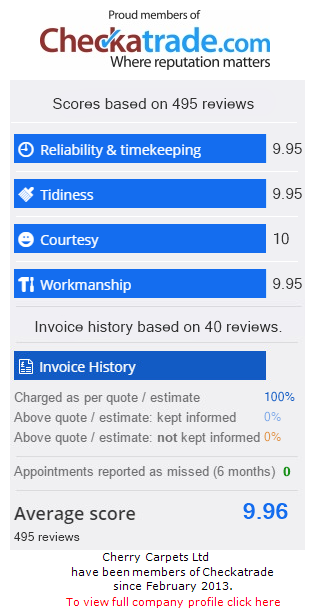 We always strive to provide a quick yet efficient service, and we make sure we remove all rubbish and other debris. 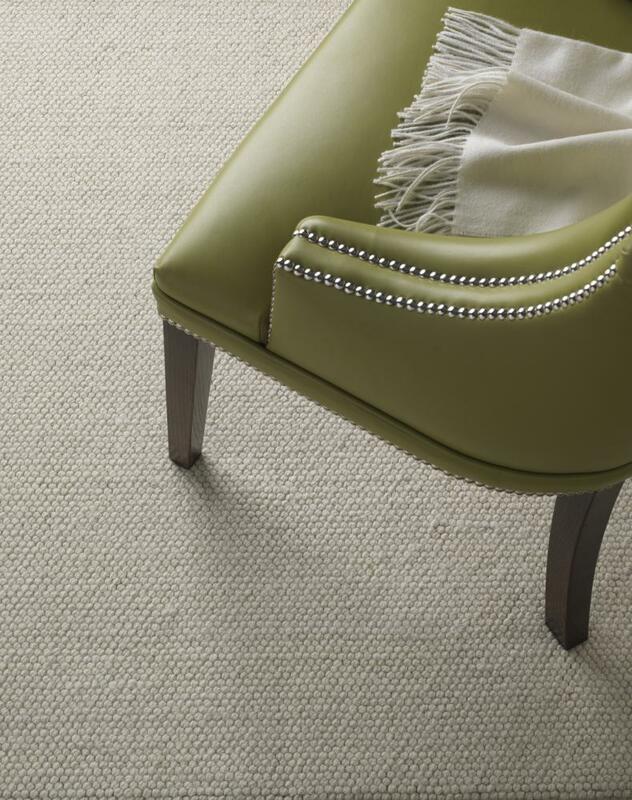 It's our policy to only supply the best Chelsfield carpets here at Cherry Carpets, which means we only supply from the biggest and best carpet manufacturers in the business. 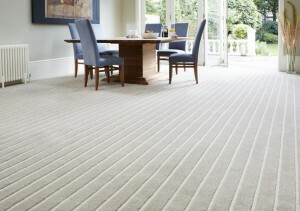 We have carpets available from the likes of Axminster, Westex, Penthouse, Kingsmead, Manx Carpets and Telenzo. If you require underlay as part of your installation, then we can provide from many of the best underlay suppliers, such as Bell and Young, Cloud 9, Ezifloor and Cosi. 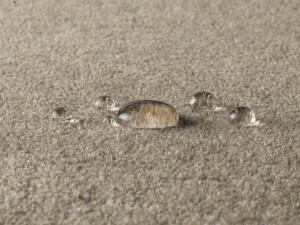 It's very easy to book your initial appointment with Cherry Carpets. Just give us a call on 020 8249 9726, or email us at info@cherrycarpets.co.uk. We'll also be happy to answer any queries you may have, and all appointments and quotations come without obligation.